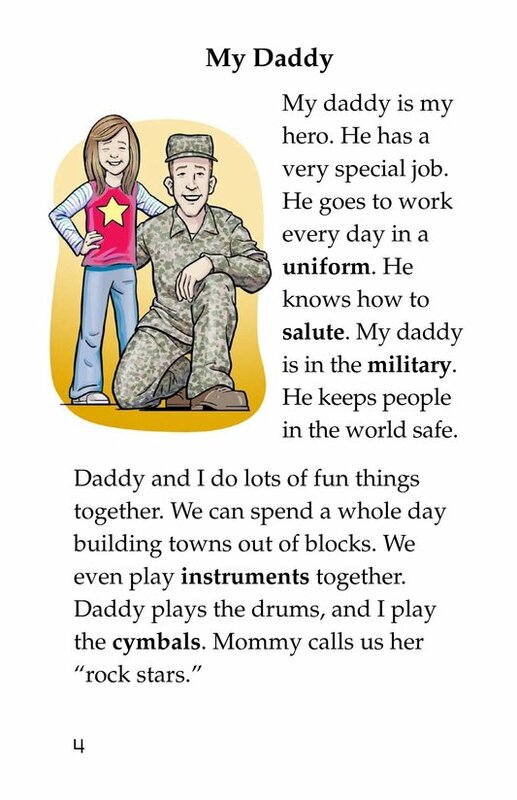 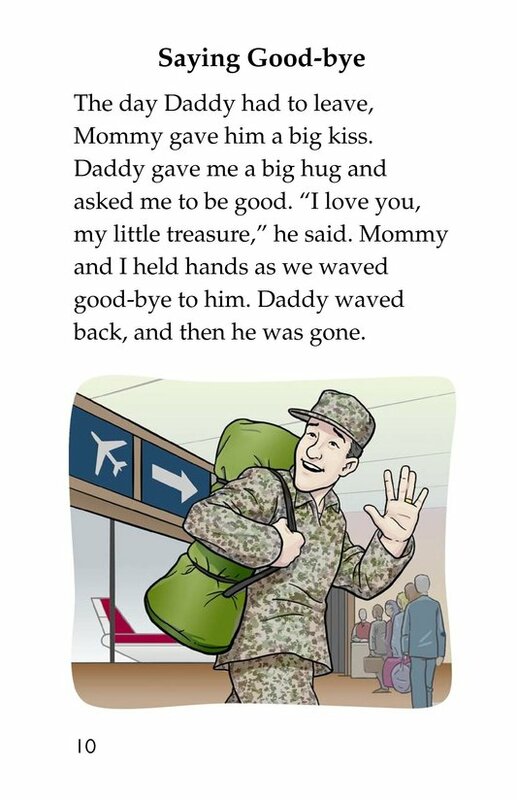 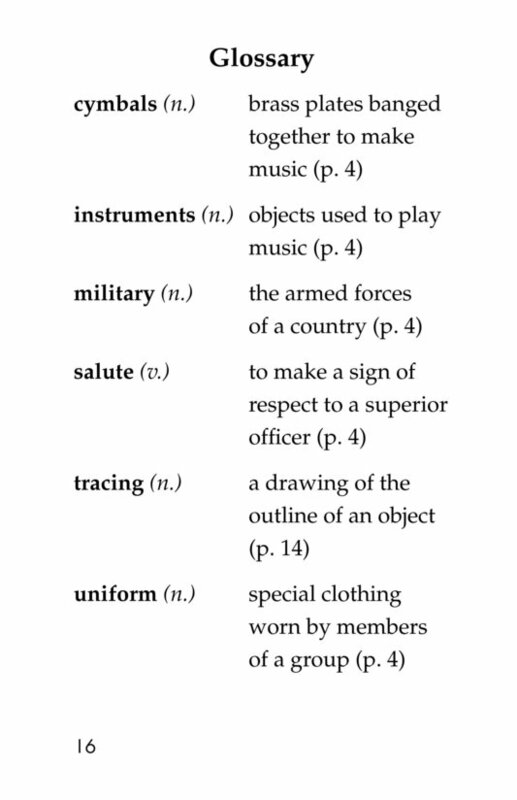 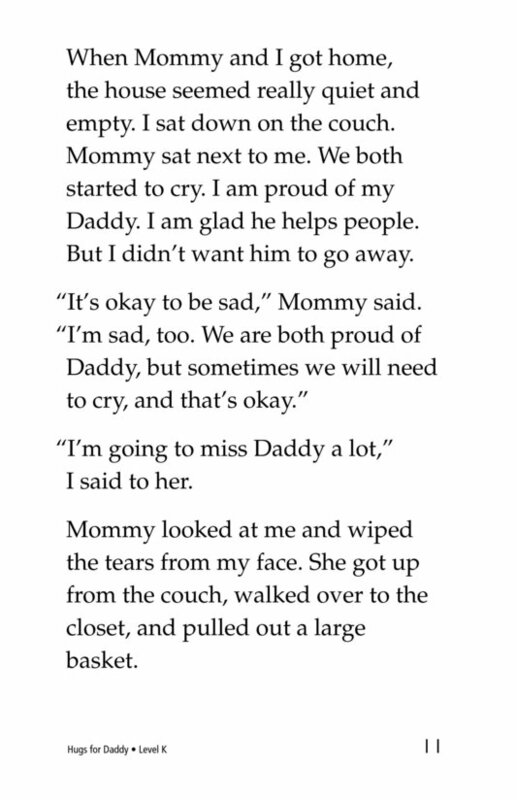 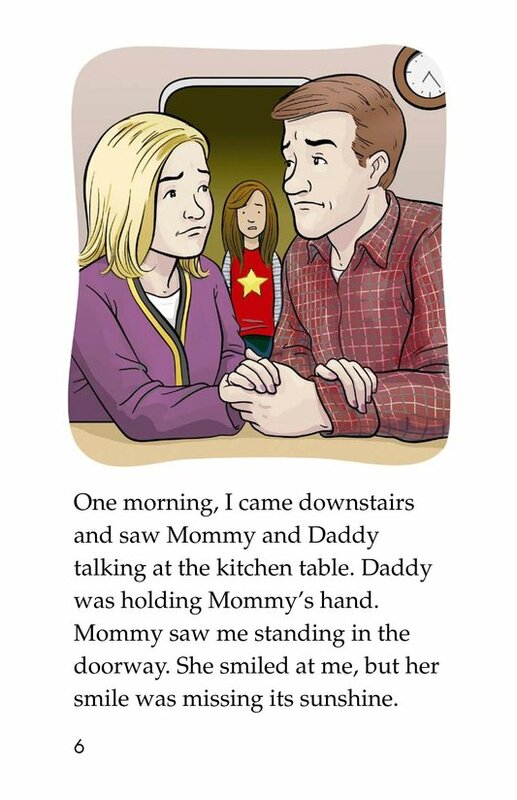 Hannah's dad has an important job--he's in the military. 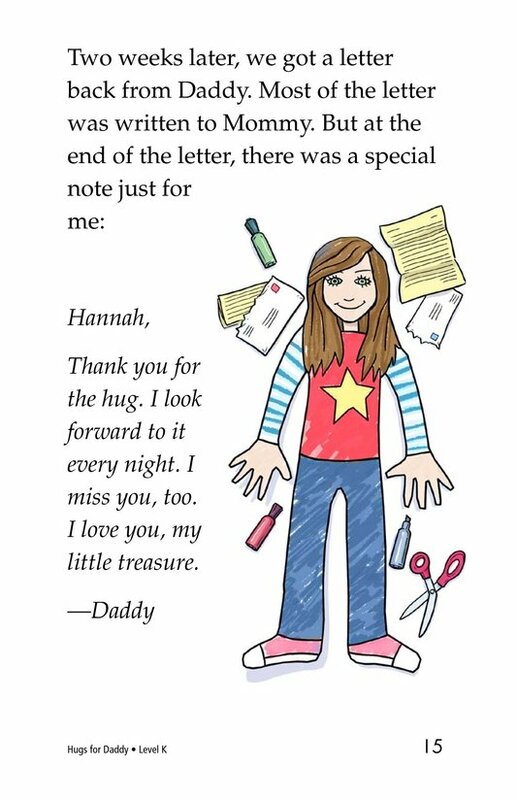 When her dad has to go away, Hannah is very sad. 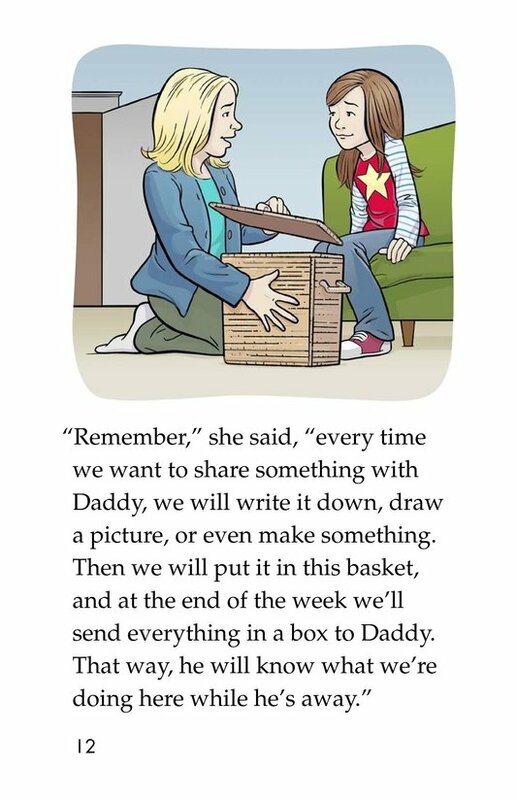 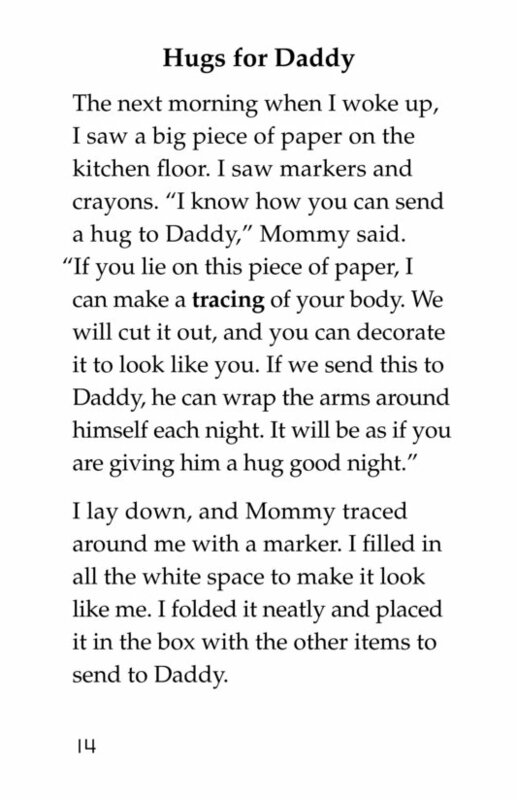 She and her mom gather things to send to her dad. 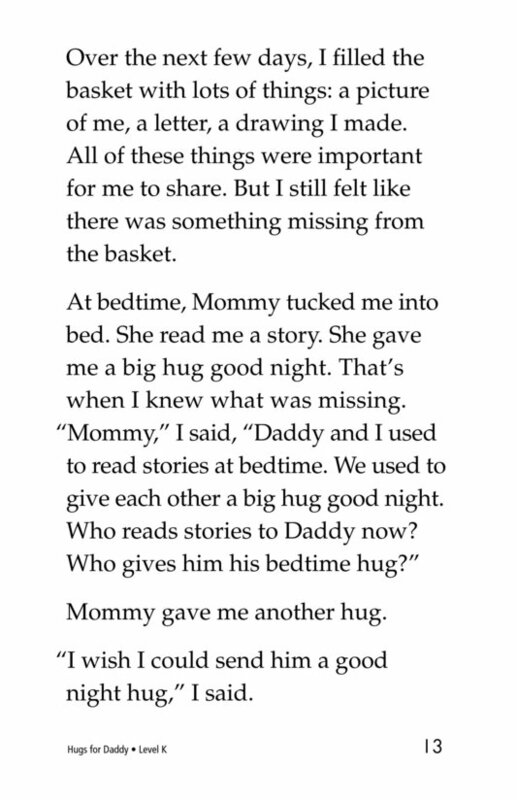 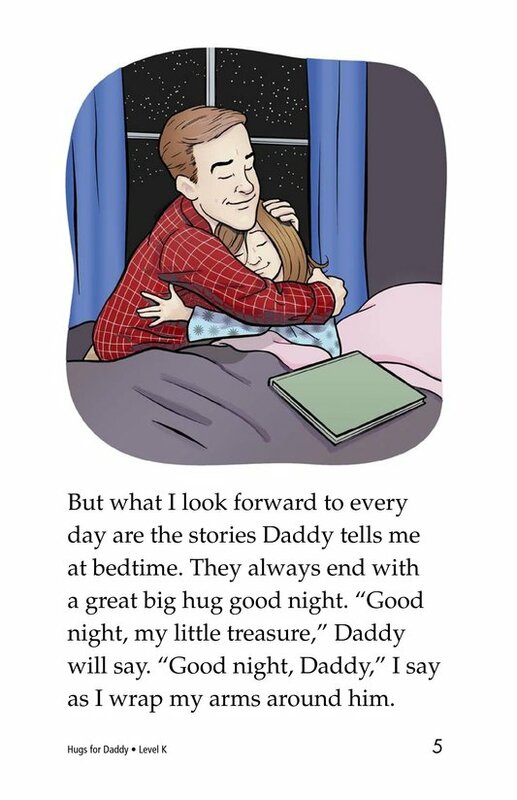 What Hannah misses most are her dad's bedtime hugs. 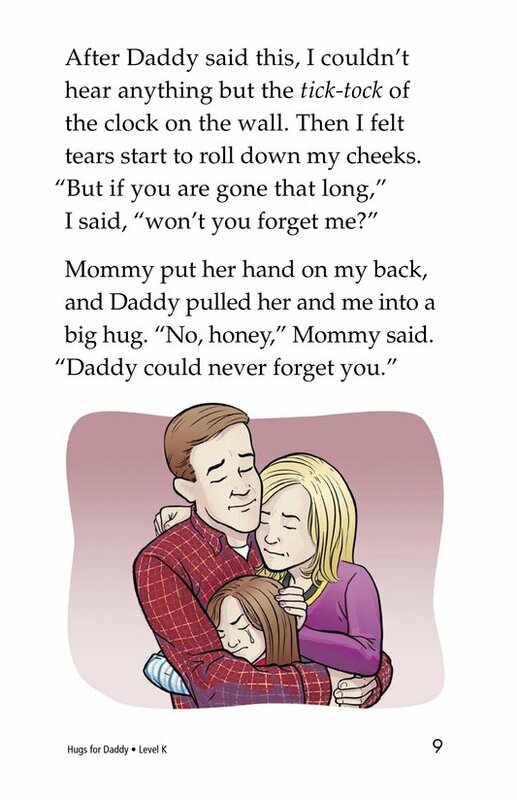 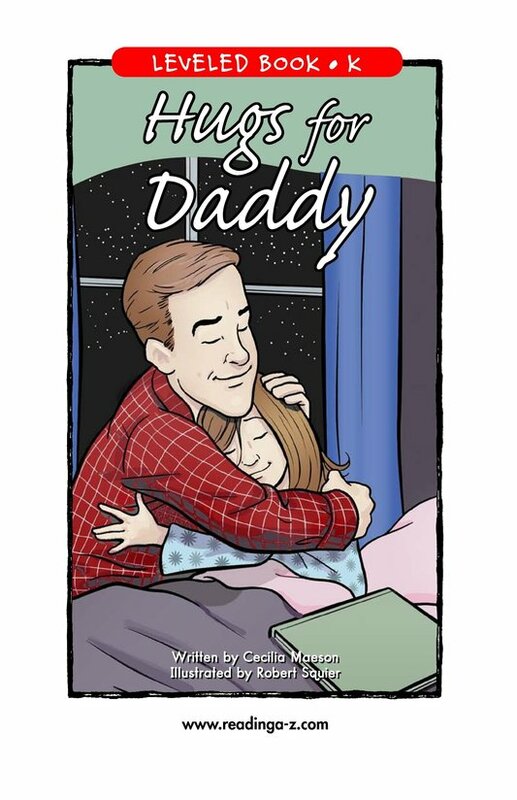 How will she find a way to send some hugs to her dad?